Perfect has implemented web-based portals for several customers to make ordering frequently used materials easier. Doesn’t everyone like it when tasks are easy to complete? If something can help you get a to-do done faster, wouldn’t you go for it? Many of our customers have deployed web-based ordering portals that contain their frequently needed business documents and marketing materials. These online print portals have helped them save time and get projects turned around faster. They have even helped make brand management more effective. Employees and offices “in the field” are using the portals to order pre-existing materials instead of trying to produce materials on their own. Each individually implemented online print portal uses web-to-print technologies to create an online catalog of a company’s print materials. The catalog includes thumbnail images of the available pieces and project details such as size and paper stock. Users order materials through the self-service portal as needed. Placing orders via the portal can be easier than working through a production manager or e-mailing a customer service rep, as real-time product details like availability, specifications and pricing are housed in the system. The user just selects a quantity and shipping location, and the order is complete. Since the portal contains order history, the need to create or hold on to corresponding paperwork is eliminated as well. Perfect has provided online print portals for customers such as Brandywine Senior Living, OppenheimerFunds, Living Beyond Breast Cancer (LBBC) and Sapient Global Markets. The implementation process takes about 30 days. It includes customizing the look of the portal to match the customer’s brand and sketching out the workflow to meet user requirements. Some customers use the portal to streamline the ordering process for their production managers or print buyers, while others use it to give ordering access to employees at remote locations and offices. 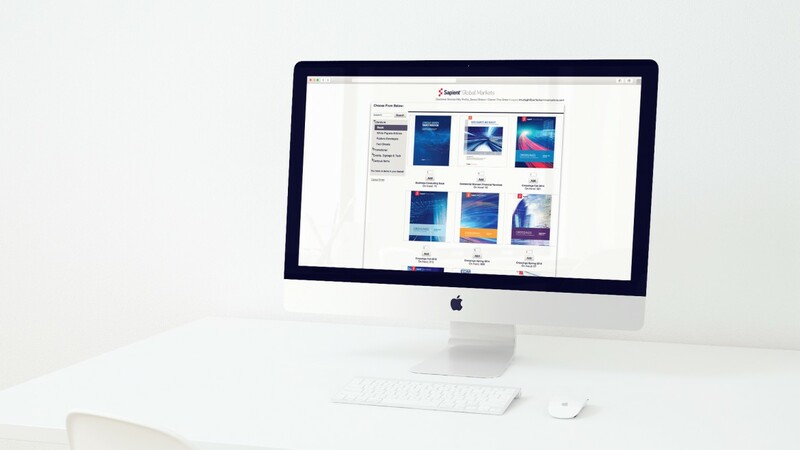 Products available in the online print portal vary from customer to customer, but include things like signage, sell sheets, brochures, business cards, envelopes, labels and publications. For example, at Oppenheimer, the special events department was having a major issue with the time needed to complete signage for events in cities like New York, Atlanta, Chicago, Dallas, Las Vegas, Boston, and Los Angeles. The orders ranged from as few as one sign for small events to more than 100 for large events. Oppenheimer wanted to make their ordering and billing process simpler, and they wanted an easy way to get brand-consistent signage in a pinch when on site at an event. Their portal has reduced the time it takes employees to submit an order and it has made Oppenheimer’s billing process more efficient and less costly. LBBC was looking for a print vendor to provide print, mail, fulfillment and distribution services. One of their requirements was the availability of an online ordering portal. LBBC had managed its own online ordering system, but they wanted to replace it. Their new system would need to provide LBBC constituents the ability to order educational materials as well as LBBC-branded collateral materials. LBBC’s ordering process can be complex, as they make about 30 products available and distribute more than 100,000 free guides annually to women with breast cancer and healthcare professionals around the United States. While most customers have found success using an online print portal for ordering repeat materials, the technology can be used to conduct most print business online. In addition to placing orders, online print portal functionality can allow customers to submit requests for estimates, submit orders for projects other than pre-existing materials, review and approve proofs prior to print and even create custom materials from existing design templates.